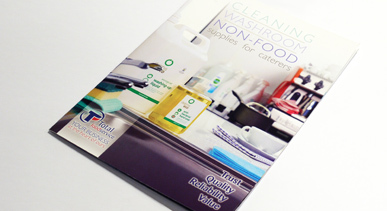 These brochures were printed in full colour on our B2 5 colour press. We then creased the cover using a special machine which does not burst or tear the paper fibres. By adopting this principle cracks and tears are avoided during the folding process. The sections were then folded and stitched producing a high quality brochure to showcase the quality of the clients products.